This comprehensive one-day workshop of an ancient Ascension/Healing Technique, alongside profound teachings, works with our Four Bodies (physical, mental, emotional and spiritual), our Chakras and our very DNA. The teachings and practices hold all that is required to gently shift our Bodies from their 3rd-dimensional state, to their 5th-dimensional state. Regular practice creates change to our thoughts, our feelings, our health and eventually, our entire consciousness. This is a multi-dimensional heart-focused pathway, as the Heart is the Key to the 5th -dimension. Quan Yin’s energies are easily-integrated and the workshop is supported by a manual plus audio’s to follow on with. Our country-side venue is the tranquil and very lovely sanctuary of Annwyn and her partner, Raeul. Ten minutes from Sacred Roto Pounamu, minutes from Lake Taupo. (Address given with registration). Ask Annwyn to help you find accommodation if required. Energy exchange of $180.00 includes profound healing throughout the day, in-depth teachings, manual, 2 x audio’s, lunch and full vegetarian catering. Please be sure to advise in advance any food restrictions you may have, thank you. Annwyn Hanham has been practicing and teaching this technique for over 9 years. She holds the energies of compassion and unconditional love that Quan Yin is revered for, and attributes her own healing of a mother’s grief to these timeless teachings. She lives at the southern end of Lake Taupo with her partner, celebrated cellist, Raeul Pierard. When we heal our own Hearts,we Heal Others too. You are warmly invited to the Tokaanu home of Golden Age Mentors Annwyn and Raeul for weekly meditations, teachings and practices that are a pathway to wellness and happiness. The pathway takes you on a journey of your heart, with much clearing and opening along the way. We gather on Tuesdays at 7 pm. We shall include topics such as Energy Healing, Understanding Energy, Chakras, Ascension, Ascended Masters, The Sacred Flames, Manifesting Abundance and other topics that the group are interested in. Entry is by Koha, thank you. Day workshop of Ascending Hearts – Teachings, Manual, 2 x MP3’s, morning/afternoon tea and lunch. Plus Sound Healing gifted during the entire weekend as directed by Spirit. Annwyn & Raeul, in collaboration with Dellaina Hascha, channel for Ascended Master Almora, warmly invite you to step into your God-Creator aspects as we create a ‘Mind Group and a new Blueprint for the New Earth’. Kaikoura holds powerful Vortex Energies that allow us to commune and actively co-create with the Whales and Dolphins who have been holding Sacred Codes for this very moment in Earth’s evolution. Before these Ancient Ones open their Hearts, Wisdom and Knowledge to us, an initiation to know our readiness will be through our deeply heart-felt intentions to restore our Pristine Earth… to more than what it was, to what it can be! Our group is being offered the opportunity to co-create our New Earth in a very practical, tangible way, with our focus on Mother Earth and the environment. For example, we can support the frequencies of the vibrations of the weather patterns so they can be harmonised, to find a way of settling. Our Created Template will hold the frequencies of Hope and Inspiration for others around the World, especially following great Earth changes. We are calling to the Visionary, God-Creator part of you! It is Time! Spirit refer to Annwyn and Raeul as ‘Golden Age Mentors’ During planetary change they are called upon to help restore Balance to shifting energies. They have recently returned from 9 weeks of such work in Europe and the UK. They also share information through teachings and sacred codes through Sound. Raeul receiving sacred codes from the Singing Kauri Tree at the Lemurian Library, Kawhaia. These were used as blueprint to help young Kauri trees recover from ‘die-back’. Raeul will perform solo Bach suites 1,2 & 3 preceded by Annwyn who will speak to the journey through grief and healing pathways. Raeul performs classical cello including Bach suites and will also intuitively respond to the trees, creatures and land spirits in the Black Forest; a beautiful healing Sound Journey. Locations posted on Raeul’s facebook closer to the time. Stonehenge – August 7th Hand Fasting Ceremony for Annwyn and Raeul!!! Long predicted to be the New Jerusalem, England is now reclaiming it’s Sacredness as a Key Holder of the Template for the New Golden Age on Earth. This Template includes the re-birthed Law of Oneness, the underpinning consciousness of Atlantis and Lemuria. New Zealand Sound Masters, Annwyn Hanham and Raeul Pierard, are the messengers of new/ancient teachings and energy activations which greatly expand our current understanding of Atlantis, and attune us to the frequencies of the Newly Re-birthed Atlantis – an Atlantis which now embraces the Heart of Lemuria. Profound Ancient Teachings from Archangels Metatron & Michael & Thoth – as Thoth said to us, ‘You won’t find this on the internet’! How to connect to our Atlantean/Sirian aspects to activate ancient gifts and abilities. Sacred Sound activations to access deeply buried memories of ancient Atlantis, for profound healing, and also for connecting to the Newly Re-birthed Atlantis, via our Higher Heart Chakra, the ancient Mystery School of Unah, and through the Sacred Geometry of Water. Final ceremony to anchor The Shield of Oneness over England, creating the Energetic Template for Unity. It is understandable that many humans have unconscious trauma from previous cycles of Atlantis, yet ‘The greatest places of fear are also where the greatest treasures are’ – Thoth the Atlantean. Energy exchange £35 includes manual, energy activations, and a follow up mp3 of these extensive teachings. Presented by Sound Masters Annwyn Hanham and Raeul Pierard, over-lighted by the Galactic Federation of Light. This unique and significant gathering is a celebration of the return of The Law of Oneness which underpins each Golden Age of Atlantis and Lemuria. It follows on from the initial grounding of the New Atlantean energies exactly one year ago, during the 2016 autumnal equinox. We are again utilising potent energies for rapid change made possible during ‘an in-between breath of the cosmos’ such as the equinox provides, during the pause between the balance of night and day in both hemispheres. Atlantis has risen and fallen over five cycles, not just through one great flood as is generally believed. Each cycle of evolution was halted when the consciousness remained overly-focused on the Divine Masculine Energies of the Third Eye and upper chakras, and failed to be grounded through the lower Feminine chakras of the Heart and Base Chakras. Our Sacred Purpose for gathering has been commissioned by the Spiritual Hierarchy for Earth, and is to anchor and establish ‘The Law of Oneness’ in Aotearoa, New Zealand. We shall be uniting the two main Islands of New Zealand in the etheric realm above Aotearoa. The South Island includes Stewart Island and represents the Divine Feminine while the North Island represents the Divine Masculine. (Annwyn and Raeul will be repeating this in several other parts of the planet as directed by Spirit). Much healing of personal and collective Atlantean and Lemurian wounds of duality held deep in our cellular memory will take place, to enable the uptake of the Higher Octaves of Light of the Rebirthed Atlantis. We envisage a joyful gathering where the Sacred Sounds of Cello and Voice feature strongly as we add another verse to ‘The New Song of Atlantis’. And our Song will resound throughout the planet! PS…Raeul is performing the entire Bach Six Suites of solo cello at the Breaker Bay Hall on Saturday night, starts 5.00 pm and includes a longish interval at 6.30 pm to consume your picnic! Finishes at 9 pm and tickets are $30 (children under 12 years free). Tickets at door. An in-depth, transformative study and practice with the Ascended Masters, Cosmic Angels & Elohim of the Seven Sacred Flames via the writings of Aurelia Louise Jones, author of ‘The Seven sacred Flames’. Annwyn Hanham are inspired by ‘The Seven Sacred Flames’ by Aurelia Louise Jones. Much gratitude is given for this wonderful resource. Our first series group didn’t want to finish at seven weeks and we are still meeting weekly! Our focus is to find a modern expression to these ancient teachings so that we may apply them in a practical way as we bring Sacred Purpose to our lives. 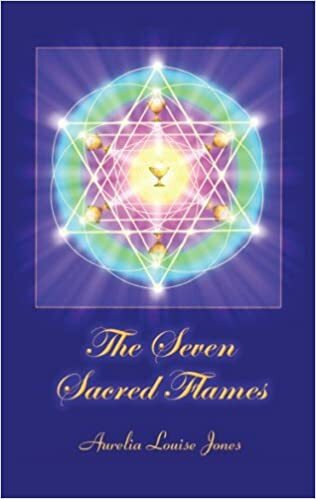 Teaching notes provided and it is highly recommended that a copy of ‘The Seven Sacred Flames’ by Aurelia Louise Jones is purchased as the link below or at Amazon. “The Four Pillars” include Love, Forgiveness, Kindness and Compassion and these form the foundation of our Temple on day one. The following day we build higher levels of Cosmic Love, Peace, Joy and Truth as the roof of our inner Temple of Divinity. Following directly on from their energy work at Sacred mountain Aoraki, that of opening the portal to the pure teachings of The Christ Consciousness, and anchoring the frequencies of the Sacred Divine Masculine, Annwyn and Raeul have been called to another very sacred mountain. This time to the planetary base chakra, known as Mt Shasta, to again work within the planetary grids between the ethers and earth, and with numerous Kingdoms which inhabit these dimensions. Although they are not holding ‘an event’ while they undertake this sacred mission, it is felt that certain souls will feel prompted to support them in some way and they look forward to these divinely- orchestrated connections happening in the moment. Annwyn and Raeul return to New Zealand on October 16th and look forward to sharing their experiences whatever way they are guided to. These illuminated teachings are supported and strengthened by Sacred Sounds and Energy Activations from the Brotherhoods of each Flame, transmitted by Annwyn. Enjoy a day of magic at the enchanting Rivahaven, home and garden of Gary and Raywyn Cook. Surrendering to the Energy of the day we will follow our intuitive guidance, allowing space for Spirit to work with us. Arrive for a welcoming cuppa and home-baking at 10.00 am. Morning session: Gary will walk us through his favourite aspects of garden/native bush/ river side areas, offering his wisdom and knowledge of the Plant and Elemental Kingdoms in his wonderful story-tellers way. A high-light is his unique work with plants, recording their song, and also the technique of dowsing. Please bring a yummy vegetarian lunch suitable for sharing. Afternoon: Using the Cello and Sacred Sounds, and in collaboration with Gary’s dowsing, Annwyn and Raeul will be working with the song of the Kauri Elders to mitigate the effects of die-back on the young trees. The resulting Sacred Sounds are to be recorded so that they may be used elsewhere in New Zealand. Another aspect of the day is to deeply connect with the Elemental Kingdom to anchor a template of reforestation for our entire plant-planet as an expression of our innate connection with the Plant and Elemental Kingdom. Afternoon tea will be served when we all need another cuppa. The underpinning focus of the day is to embody what is known as ‘The Three-Fold Flame’ which is the original trinity of the Hu-man, Elemental and Angelic Kingdoms that Earth was based upon. PROLOGUE BY ARCHANGEL METATRON – Atlantis: A Myth or A Reality Buried in Time? The answer is only known to your heart. If you feel an instantaneous recognition to the name Atlantis, Archangel Metatron invites you to feel into what he has to share. The Atlantis project, commissioned by the Elohim, first materialised on Earth around 150,000 years ago. It was an experiment to anchor the star genetic codes on Earth through the star-human race, so the latter could serve as the energy catalyst for Gaia’s (3rd-dimensional Earth) transiting to the 5th dimensional envelope of light at the destined time. The experiment completed some 50,000 years ago through seemingly, a catastrophe which caused the Atlantis continent to sink and disappear from Earth. In truth, the event served as a mass exodus for the Star-Atlanteans who had accomplished their mission for Earth, so they may return to the stars. New Atlantis Awakens Along With 5D Earth – Between the period 21 December 2012 to 21 December 2015 (36 months), Earth progressed into the 5D frequency belt as planned. So did many of the Star-Atlanteans who have chosen to reincarnate during this celebratory time to further their work in supporting humanity to awaken its inherent star codes of love and joy. They will do so expediently and effortlessly through the New Atlantis program accessible from the memory grids of Earth. ABOUT THE SONG OF NEW ATLANTIS – Spiritual hosts Archangel Metatron, Archangel Michael and the Cosmic Angels describe The Song of New Atlantis as “a revolutionary program upgrade for all Star Seeds and Earth-angels”. A 2-day event packed with esoteric and cosmic knowledge presented through a combination of channeled teachings, energy activations, sacred sounds and celestial music, The Song of New Atlantis is about reconnecting with your Atlantean past and being showed the way and energy tools to become a pioneer of New Atlantis. A series of energy activations will be gifted by the Archangels to augment the channeled teachings and integrate the underlying vibrations in the participants’ physical and subtle bodies. Sacred Sounds will be deployed as the one of key transmission vehicles by Amara Tia and her distinguished co-presenters, Sound Masters & Healers Annwyn Hanham and Raeul Pierard (who is also an accomplished cellist). # As this workshop involves live channeling, the topics and order of presentation at the actual event may differ slightly from the outline above, depending on the needs of the participants and as directed by the Archangels and other Spirit guides present. Amara Tia has served as a professional energy healer and channel since 2004. She works with numerous Masters and enlightened beings from the spirit world, including Archangels, Ascended Masters, Christed Star Beings and various Councils of Light to transmit high frequency sound and light codes (Language of Light) and advanced spiritual knowledge to support the spiritual awakening of Humanity. More information on Amara Tia at www.acast.me. Amara Tia will be supported by two master sound healers, Annwyn and Raeul, at The Song of New Atlantis to offer an extraordinary all-new experience to all participants. Annwyn Hanham has a deep understanding of the journey of the awakening soul and the concept of Eternal Life. A published author, Sound Master and Ascension facilitator, she is also innately connected to The Elemental Kingdom as her name suggests, (Annwyn is the Welsh name for the immortal kingdom known as ‘The Other World’). Raeul Pierard is a classically trained, accomplished Cellist who as a skilled Sound Master is equally at ease performing the six Bach Suites as he is at intuitively receiving and expressing the Sounds of the Soul. Raeul’s name speaks of the frequencies of the Sun and of Earth Magic harking back to Druidic lifetimes with those who held the vision of Stonehenge. Annwyn and Raeul are Golden Age Mentors whose combined Energies are utilised by Spirit at crucial times in the evolution of planets. Together, they represent numerous Earth and Galactic Tribes, bringing great balance and unity with their Sacred Union. Both are former students of Thoth and held positions as High Priest/Priestess in the Sound Temple of Atlantis. Due to their unique blend of frequencies many Beings of Light are able to work through them including The Lords of Amenti, Thoth, Quan Yin and Green Tara, Pan, Serapis Bey and Lord Ganesh plus countless other Star Beings. In July 2015 they anchored the inaugural workshop of ‘New Circuitry for the New Hu-Man Body’ at Mount Cook, New Zealand solely using Sacred Sounds of channelled Tones, Light Language and Celestial cello. In response to Sacred Toning at one point a set of 8 crystal bowls began to ‘sing’ all by themselves! A signature of their work together is their unbridled Love for HU-manity and a great Joy for life as they help usher in the frequencies of the new Golden Age on Earth. Amara Tia channels high frequency light and sound codes, the ‘Language of Light’, to perform powerful energy healing, psychic surgery and reconfiguration of Light Body for her clients. The Language of Light is a sound frequency that resonates with the God code within us and speaks directly to our higher consciousness. For her psychic reading work, Ann channels divine messages to offer clarity and advice on the challenges encountered by her clients. Working very closely with the Spiritual and Cosmic Hierarchy, she accesses the clients’ Akashic records to provide past life information relevant to the understanding and resolution of their current issues. Options for effecting positive changes in the client’s thinking, feeling and behavioural patterns are offered from the perspective of their soul evolution. Queenstown, Sunday November 8th 10 am to 5 pm at Cadrona Church Hall, Cadrona. This unique collaboration of four facilitators is not to be missed. Many gifts of energy activations and downloads of information are to be received during this event as we celebrate the potent Energies referred to as the X Wave. 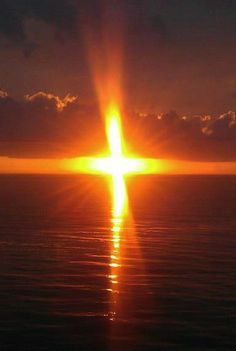 Even more potent that the 2012 ascension energies with the presence of Yeshua (Jesus), Lord Ganesha, The Elemental Kingdom, Serapis Bay and a host of Light Beings from many dimensions and universes. Sprinkled amidst the energy work will be music by Cellist Raeul Pierard, Gong and Crystal Bowls. Also a beautiful duet of classical guitar and cello plus other unfoldings on the night. A light dinner of Soup and Bread is included as well as a Chai and Sweet supper. To raise funds for Kids Growing – A district-wide school edible garden initiative. Chris is a well-known presenter and clinical psychologist from Dunedin, who last year spent 3 months in the UK promoting his latest personal development book The Power of the Second Question. His previous book, called When Happiness is not Enough – Balancing Pleasure and Achievement in your Life, continues to be extremely popular and Chris regularly presents on lifestyle balance across Australia and NZ. Formerly a specialist teacher, Annwyn’s life changed dramatically when her 17 year old son died in a car accident. Her quest for understanding and healing from such an event resulted in a very frank and often funny book describing her unorthodox journey through grief called “Dry Your Tears.’ As a busy workshop presenter, mentor and speaker whose key message is to balance our hearts and minds she has inspired many to not just survive, but thrive through grief. ‘Ascending Hearts’ has taken a quantum leap in what it offers to all those journeying on their ascension paths, especially to Healers. Already a powerful ascension and healing tool, this technique was recently exponentially expanded to include recalibration of the Electrical Circuitry of the Human Body required to allow the incoming 5th Dimensional Body to be fully functional. Our Fifth-Dimensional Electrical Circuitry includes the 12 Chakra System, Pranic Tube, Meridians, Auric Fields and Axiatonal Lines and in its upgraded state allows greater quantities of Light to be comfortably held within our cells. Not only will the Physical Body be significantly energised but greater quotients of Light held means more of our long-held DNA codes will be activated. We can expect to experience recall of the myriad of skills mastered in previous incarnations as well as significant amplification of skills currently being practised. To ensure that we fully utilise these skills, the New Circuitry is enhanced by an attunement from Goddess Green Tara, revered for her attribute of Compassionate Action. Green Tara brings the more masculine energy of action to Quan Yin’s very feminine energy of the Compassionate Heart, providing a perfectly balanced Energy. Green Tara and Quan Yin are encouraging Healers in particular, to stand up and be visible to Hu-manity who are on the cusp of a mass awakening. Your clients will be in great need of Fifth-Dimensional healing and the benefits of your own upgraded circuitry will be received by others through your work. If you are not practising as ‘a healer’ as such, know that you are spontaneously healing all those who are in contact with you, simply by them being in your Energy Field. The Ascending Hearts technique is not intended to supersede any modality you may comfortably be working with. Although it may certainly be used as a modality on others (Both Annwyn and Thomas use this with clients) it is a valuable tool for self-healing and supporting the healers during busy times to come. Equally important, it is an ascension technique used by ascending masters. As the Dali Lama has said, compassion has the potential to bring world peace. Green Tara comes from the lineage of the Tibetan Lamas and is their highly revered Goddess who exudes Compassionate Action. Thomas and I have been surprised several times recently at the way her presence can be detected when a kind but firm and expedient outcome is required.